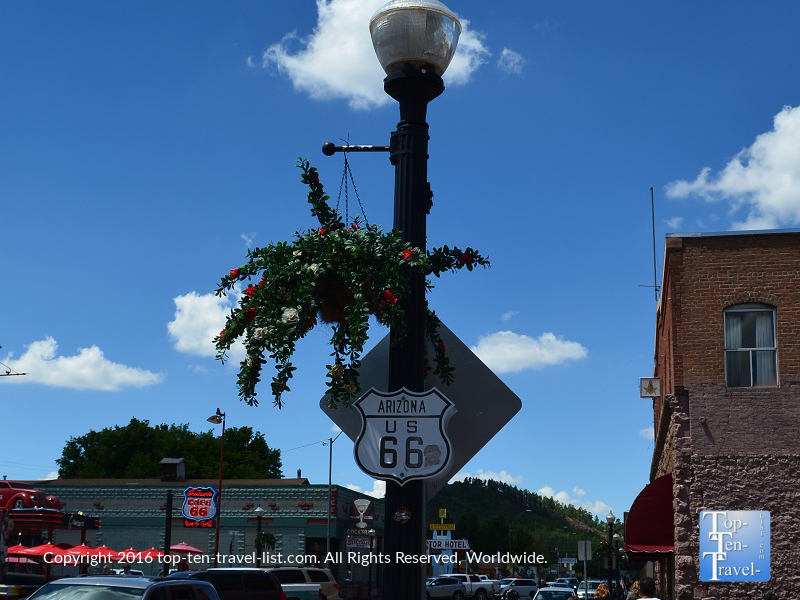 "Get Your Kicks on Route 66" in Williams, Arizona - Top Ten Travel Blog | Our experiences traveling throughout the US. The original “Mother Road,” as Route 66 was referred to by John Steinbeck in the classic Grapes of Wrath novel, was once a narrow 2 lane road, spanning from Chicago all the way to the Santa Monica Pier in Southern California, for a total distance of 2400 miles. 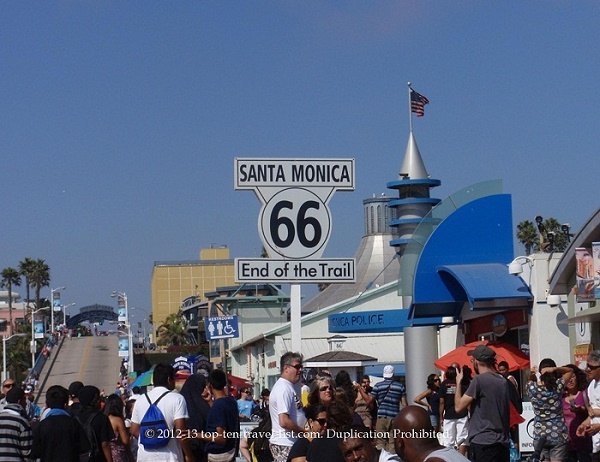 The end of Route 66 sign in Santa Monica California. Interstate I-40 eventually replaced the historic road in 1956. Although the new highway system meant more efficient travel, it also meant a lost of the novelty and excitement of traveling along Rt 66. Thus, the era started where getting to your destination became more important than enjoying the ride there. Nevertheless, Route 66 became very famous and is forever ingrained in our mind thanks in part to its’ many references in popular culture include the catchy tune “Get your Kicks on Route 66.” Today, Route 66 remains the most iconic road with tourists coming from all over the world to explore the last remaining stretches of the famous highway. Although you can no longer drive the entire road, you can still drive & explore many preserved sections. Historic downtown Williams along Route 66. Check out the classic light posts! 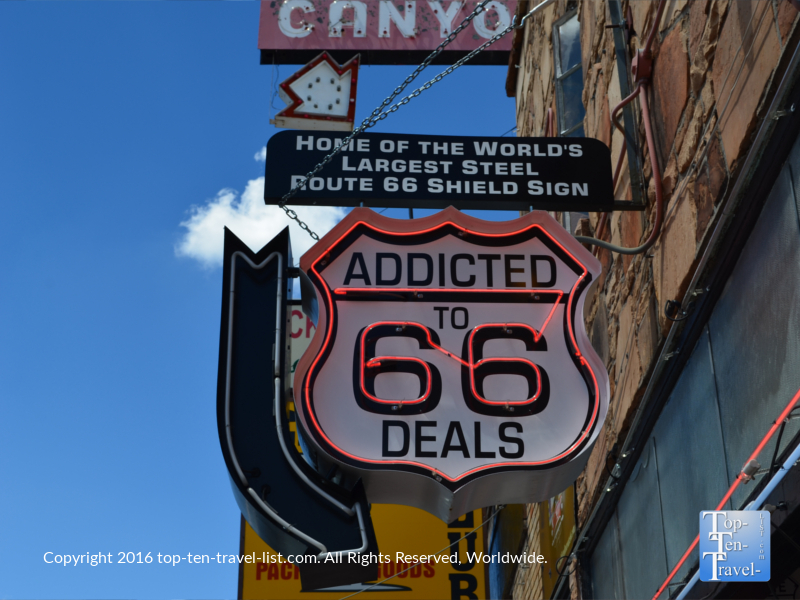 Back in the 1920’s (the road opened in 1926), Route 66 was used by millions of travelers to travel across the American West. The road was lined with all sorts of quirky diners, motels, neon signs, and tourist attractions. Sadly, many of the things that made the road so special are long gone, with modern chains going up in place of old unique businesses and much of the rural parts of the road being vacant. Luckily, there are still a few remaining & charming stretches of the road which maintain that classic, vintage feeling we all love. 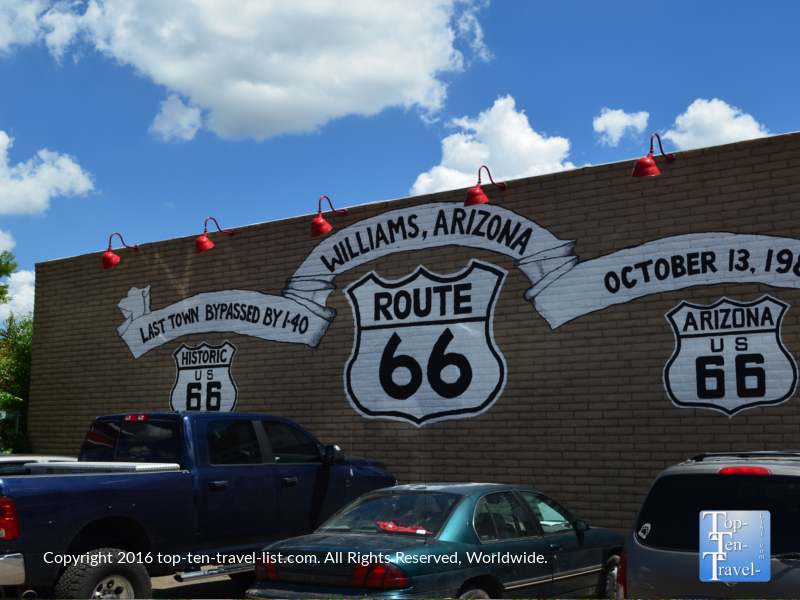 Williams, Arizona is home to a small stretch of Route 66 which still maintains the nostalgia of the historic highway. 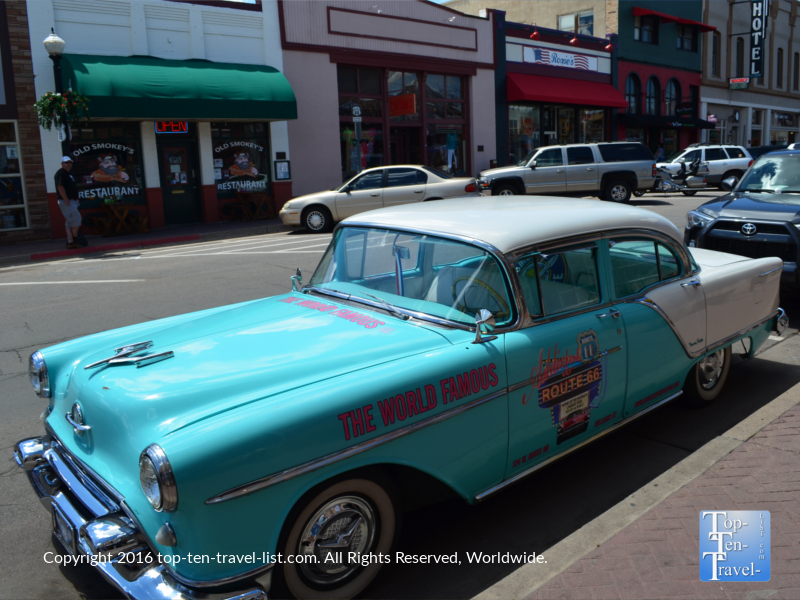 In the charming downtown neighborhood, you will find old-fashioned soda fountains, motor hotels, Route 66 memorabilia and gift shops, classic cars lining the streets, special Route 66 themed annual events, and Route 66 themed cafes. Williams, Arizona became the final community to be bypassed by the new I-40 highway in October 13, 1984. By day, you can take a self walking tour of all the historic sights and shop for more Rt 66 gifts that you could ever imagine (you could literally deck your whole house in Rt 66 knick knacks if you wanted to). By night, you can take in all the classic neon signs which illuminate the downtown area. The 4 block long Williams Historic Business District is on the National Register of Historic Places. Many of the buildings which stand today date back to the 20’s-40’s, making the town a good representation of what Route 66 once looked like. 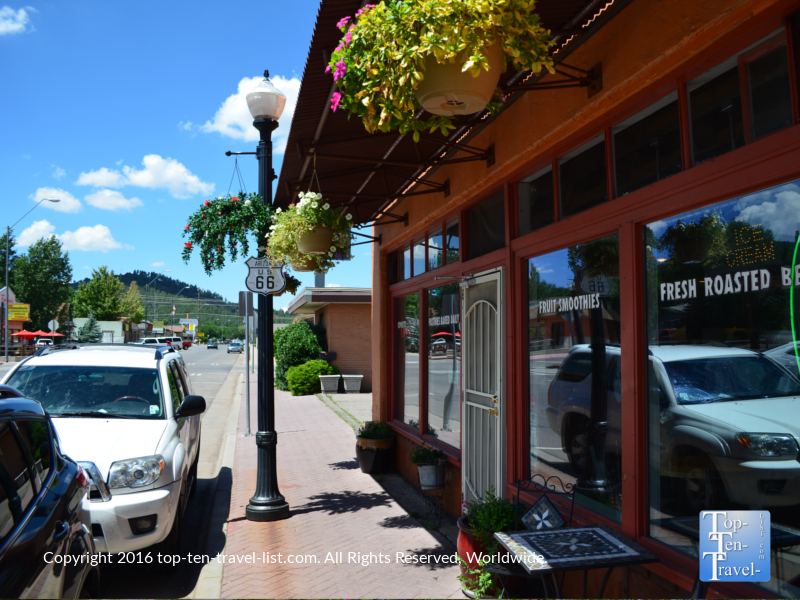 Williams is a charming small town with a population just over 3000. 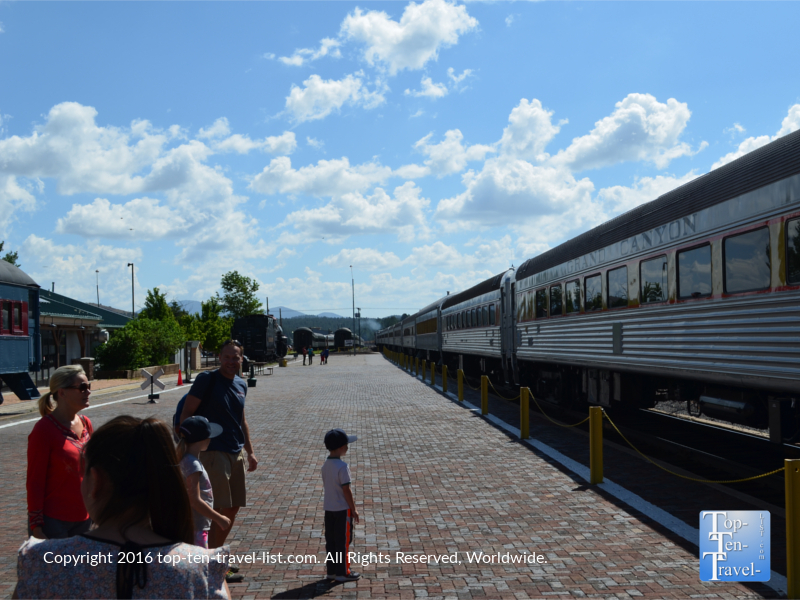 Walking around downtown Williams is like taking a step back in time. 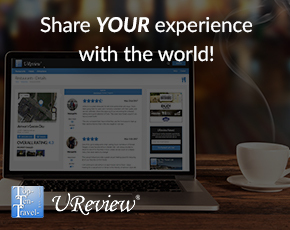 You will not find any modern chain restaurants or hotels here, just classic old time charm. 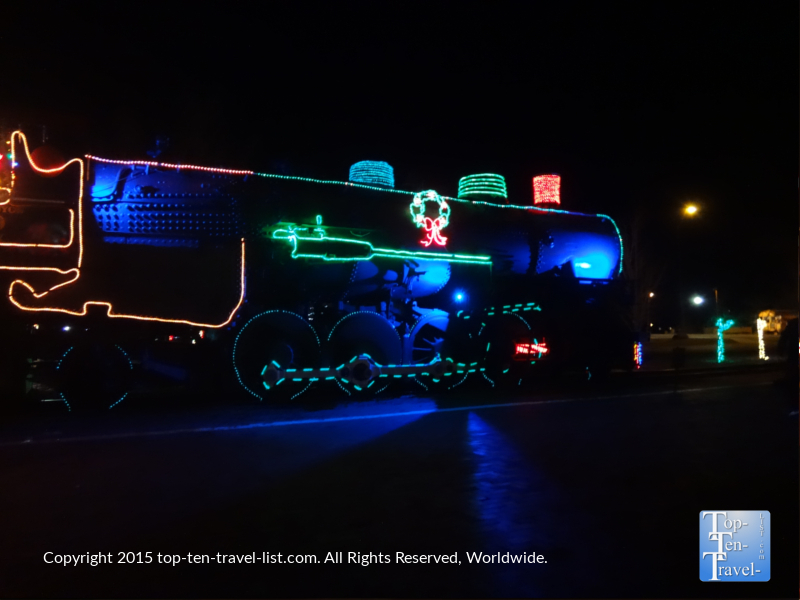 While enjoying the nostalgia of Route is a must while visiting this small Northern Arizona town, there are numerous other attractions to enjoy. 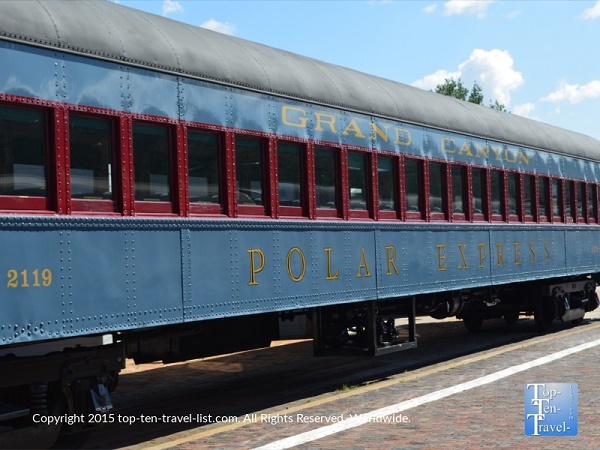 For starters, Williams is just an hour away from the Grand Canyon’s South Rim, and you can even take an old-fashioned means of transportation known as the Grand Canyon Railway to get there. 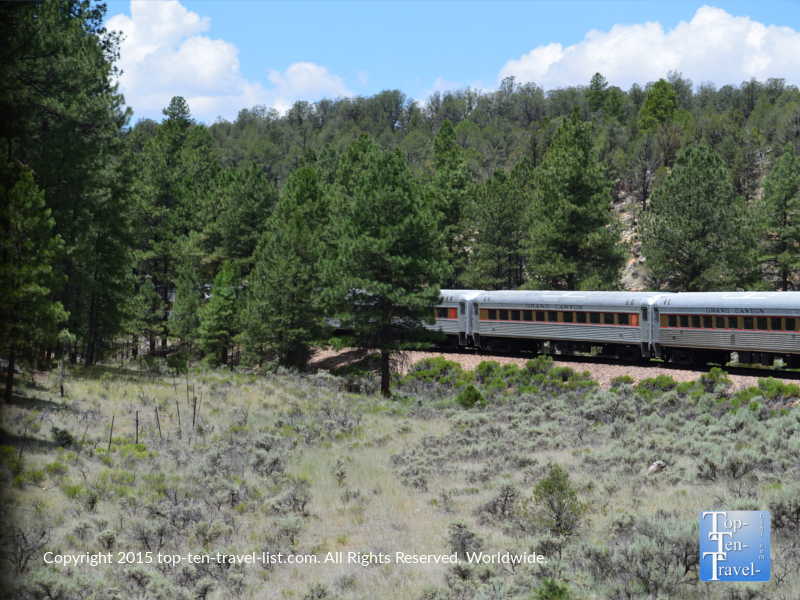 The popular Grand Canyon Railway departs from Williams, Arizona. 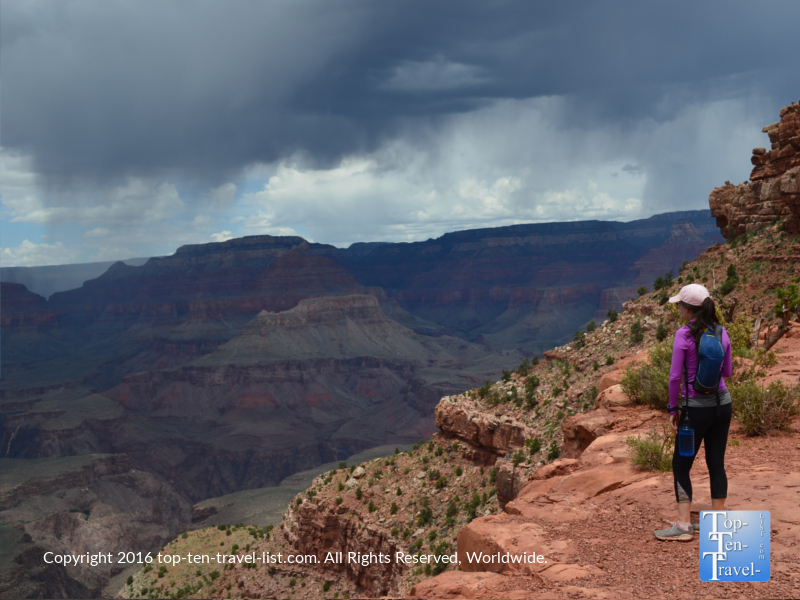 Hiking the Grand Canyon is a must do for regular hikers visiting the canyon. Check out the South Kaliab trail (pictured) or the Bright Angel trail for incredible views & solitude! And if you feel like exploring the great outdoors in a beautiful area of the country, your options for hiking are almost endless. 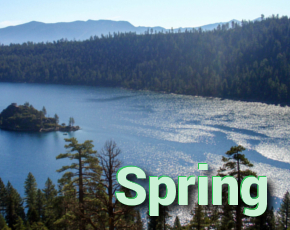 Unlike Southern Arizona, Williams sees a 4 season climate, with great hiking conditions most of the year. 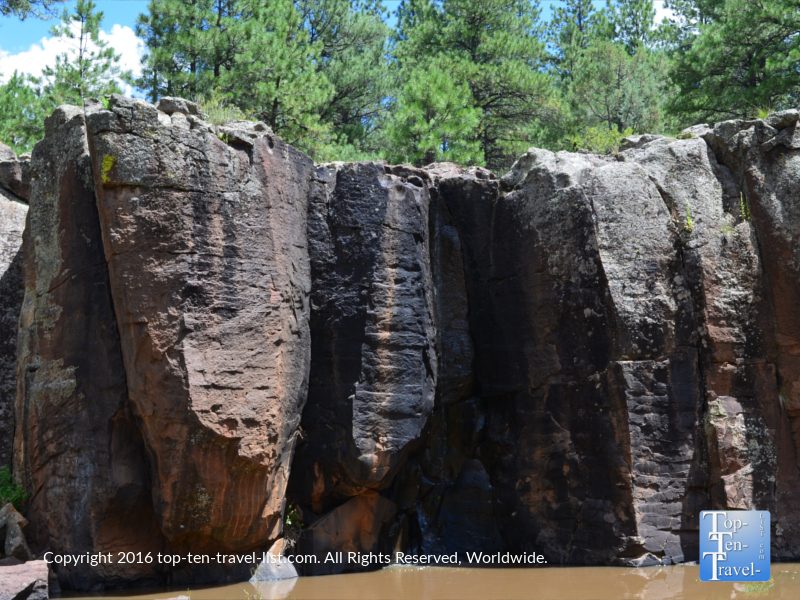 Check out Sycamore Canyon, Keyhole Sink, or Kendrick Mountain. Additional fun nearby includes a fantastic drive thru wildlife park known as Bearizona, as well as easy day trips to and endless number of National Parks & Monuments (be sure to check out Walnut Canyon and the Petrified National Forest). The beautiful Keyhole Sink trail has several interesting features including a seasonal waterfall and ancient petroglyphs. 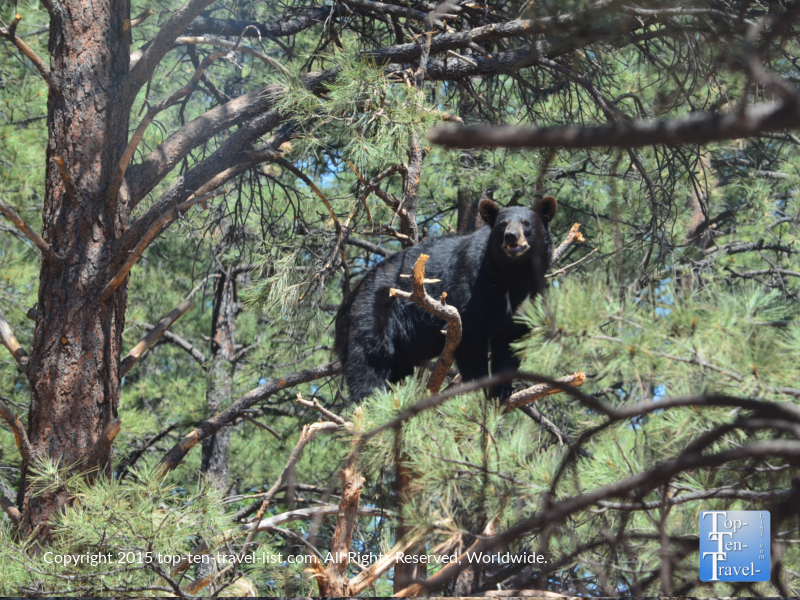 One of many black bears that call Bearizona home. 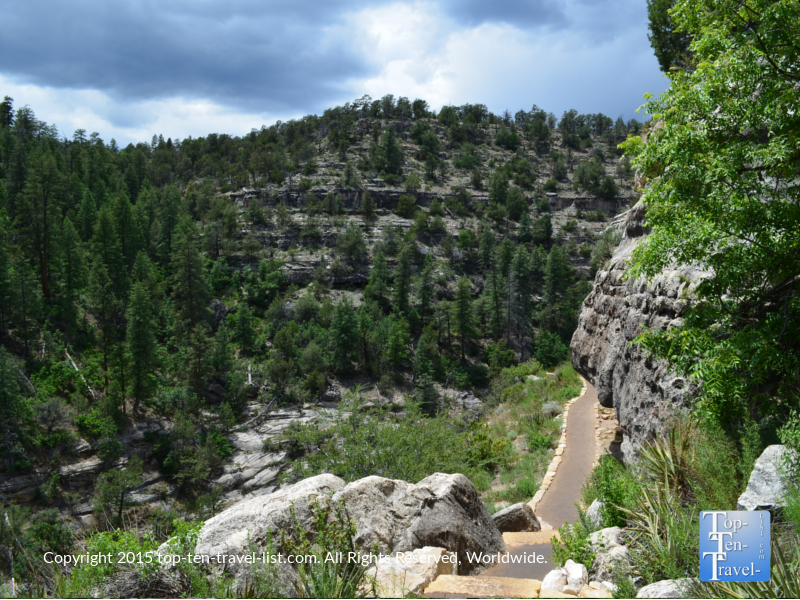 Walnut Canyon is a gorgeous area just 40 minutes from Williams. The Island Trail will take you past ancient cliff dwelling, with dramatic views of the canyon from every direction! 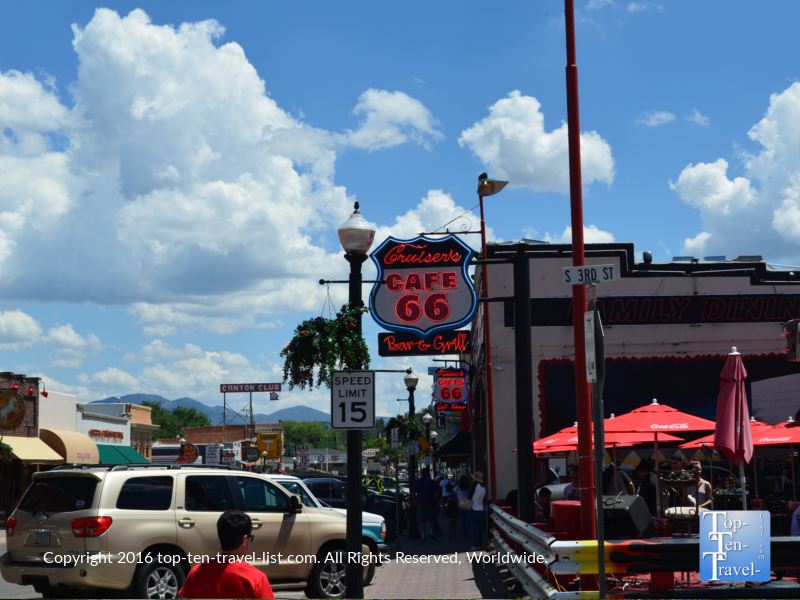 There are lots of fun Route 66 themed cafes to check out including Cruisers, Twister’s Soda fountain, and Goldie’s. These classic diners all feature a great old style design, along with a fun 50’s style old-fashioned vibe. If you are looking for a great espresso drink, check out Cafe 326, which has lots of Route 66 memorabilia liningthe walls, along with a nice outdoor patio for the summer season. Pine Country Restaurant is a nice home style cafe serving breakfast all day, lunch & dinner, and the best homemade pies in town. It has a great location in the center of town with big windows overlooking all the sights. 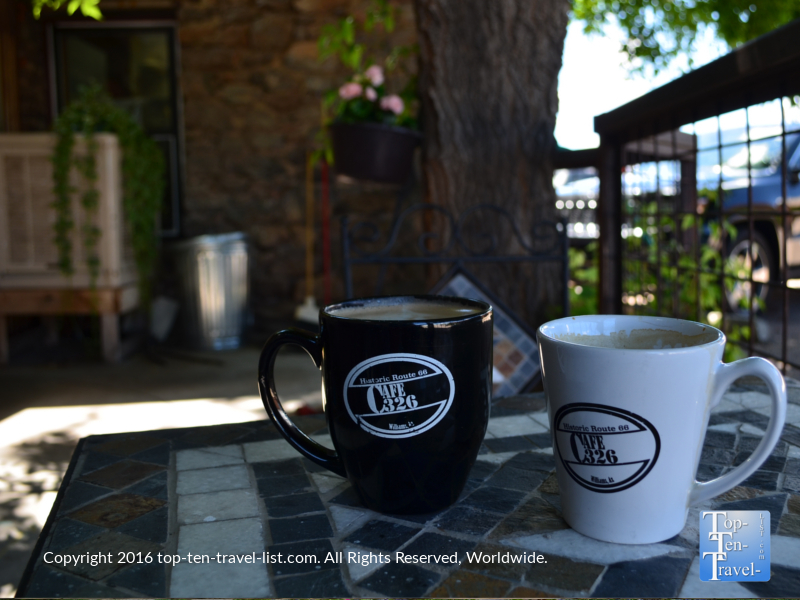 A relaxing mocha and Americano in the outdoor garden patio of Cafe 326. 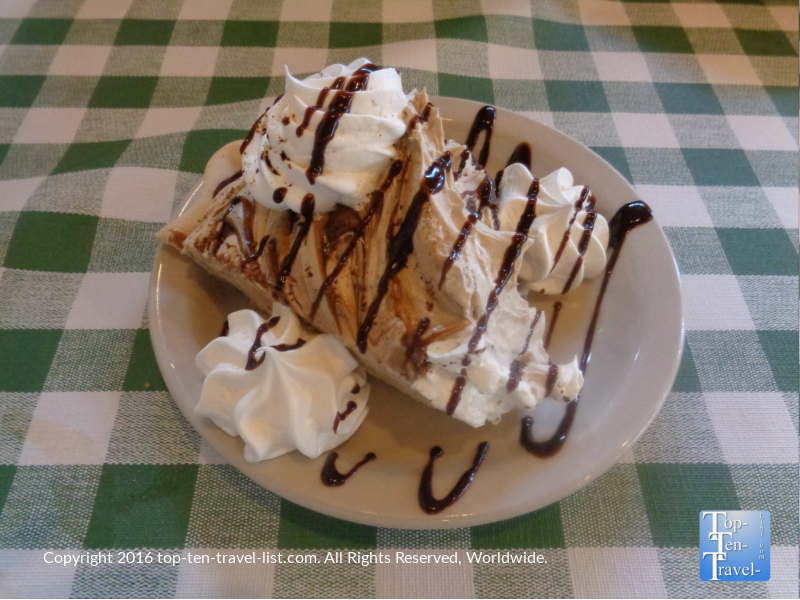 Pine Country offers several dozen varieties of pie each day! These airy whipped treats go great with a drink from their Giddy Up and Go espresso bar! Williams makes for a perfect starting point for your Grand Canyon/Northern Arizona adventure. In fact, as soon as you enter, you will notice a sign welcoming you to the “Gateway to the Grand Canyon.” The convenient travel time to the canyon as well as other fantastic natural attractions in the region, not to mention the rare opportunity to enjoy the small town atmosphere of a historic Route 66 town, makes Williams the top choice for anyone seeking a memorable & unique vacation in the Grand Canyon state. 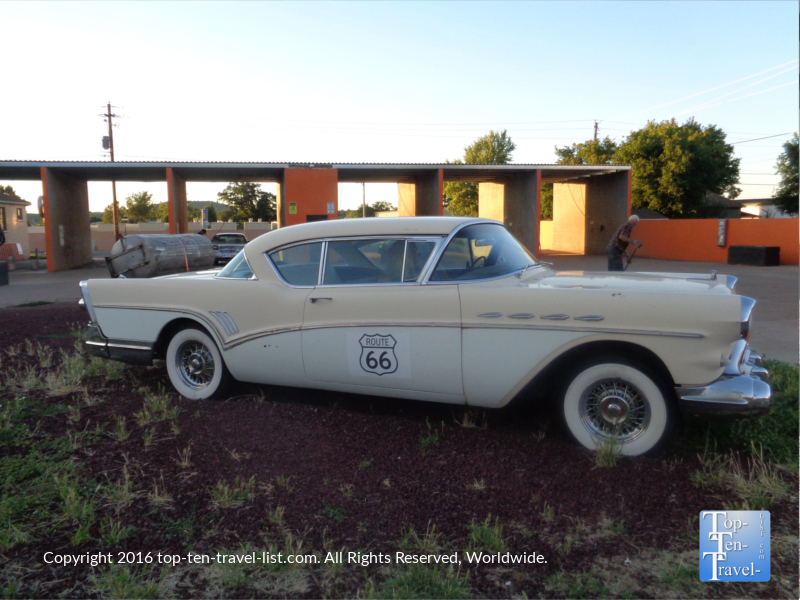 Stop by the Visitor’s center for a map with detailed info on Route 66 points of interest.